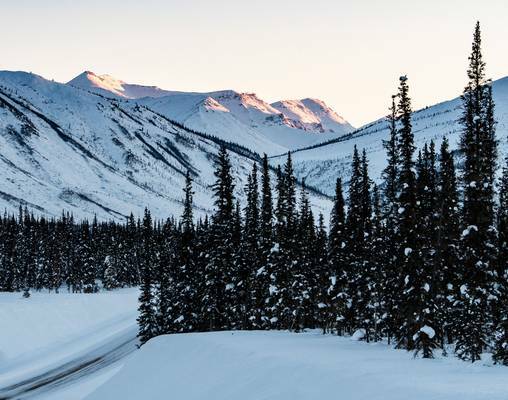 This weeklong itinerary showcases the best of winter in Alaska. From Anchorage, board the Aurora Winter Train for two nights in the charming town of Talkeetna, where you'll enjoy a guided sled dog tour with an Iditarod champion kennel. The rail journey continues north to Fairbanks, home of world-class Aurora viewing. Additional departure dates maybe be available with an altered itinerary. Your flight will arrive in Anchorage today. Upon arrival, transfer to your centrally located hotel. 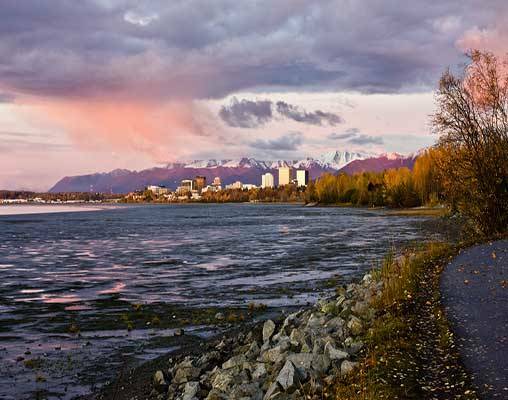 Drop off your luggage and get settled in, then set out to see the sights of Anchorage. Whether you desire a look at nature or hope to enjoy the city’s amenities, there are plenty of options. Maybe visit Alaska’s largest museum, the Anchorage Museum, or take a ride above the treetops on the Alyeska Tram. There are whale watching and dog sledging excursions you can set out upon, as well as plenty of low-key shops, galleries and restaurants to peruse. Overnight in Anchorage. Board the Aurora Winter Train and travel north to Talkeetna, watching for views of Denali along the way. The day is yours to explore this small Alaskan town; perhaps opt to add on a flightseeing excursion of Denali and the Alaska Range. Overnight in Talkeetna. Take a guided sled dog tour with an Iditarod champion kennel. Tonight offers another opportunity to enjoy dinner along Talkeetna’s charming Main Street. Overnight in Talkeetna. Continue your journey north aboard the Aurora Winter Train, departing Talkeetna in the late morning and arriving in Fairbanks tonight. 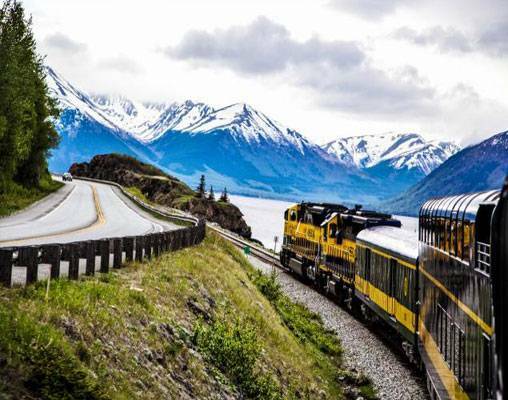 Along the way, travel along the edge of Denali National Park and traverse the Alaska Range. Overnight in Fairbanks. Take a guided tour of Fairbanks, Interior Alaska’s largest city. This evening, seek the northern lights on a guided aurora lodge tour. Overnight in Fairbanks. Enjoy a leisurely morning after a late night of aurora hunting. This afternoon, travel to Chena Hot Springs, where you can enjoy a soak as well as another evening watching for the aurora. Overnight in Fairbanks. Your Alaskan tour comes to an end this morning. Enter your details below if you would like to be notified when 2020 dates and prices are available for The Aurora.